1. To make the shortbread rub the cold butter in the flours using your fingertips until it resembles fine breadcrumbs. Stir in the sugar – I did this using a round bladed knife. Add in the egg, again using a round bladed knife, once the crumbs start to stick together use your hands to form the dough. Chill the dough in the fridge for about 20 minutes. 2. Preheat the oven to Gas Mark 4 and line two baking trays with greaseproof paper. Roll the mixture out to a thickness of 3mm and cut out 18 circles (about 8cm in diameter) – I also did some square shortcakes, the choice is yours. Then carefully lay these onto the baking tray. 3. Before baking the biscuits, let them rest in the fridge for at least 10 minutes. Then bake for minutes (mine took 15 minutes), they should be pale in colour. Transfer them to a wire rack and allow them to cool. 1. Pour the double cream into a small glass bowl and whisk using an electric hand mixer, until it starts to thicken. 2. Add in the icing sugar and vanilla extract and continue to beat until firm peaks start to form, then transfer to a piping bag fitted with an open star nozzle. 1. 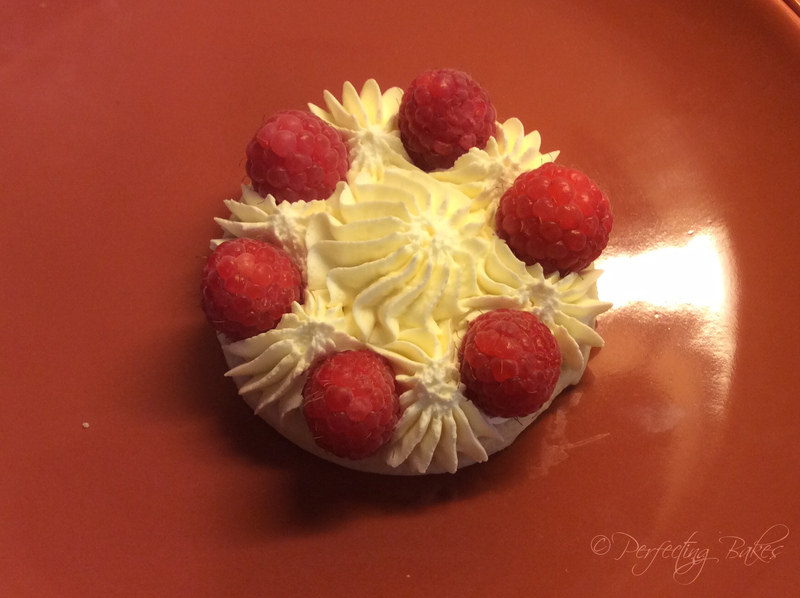 Place the first shortcake onto your plate, then get your piping bag of whipped cream andpipe small stars of the cream around the edge and then a bigger one in the middle (as shown below) then place 6 small raspberries around the outside then in the middle place3 strawberry slices. 2. 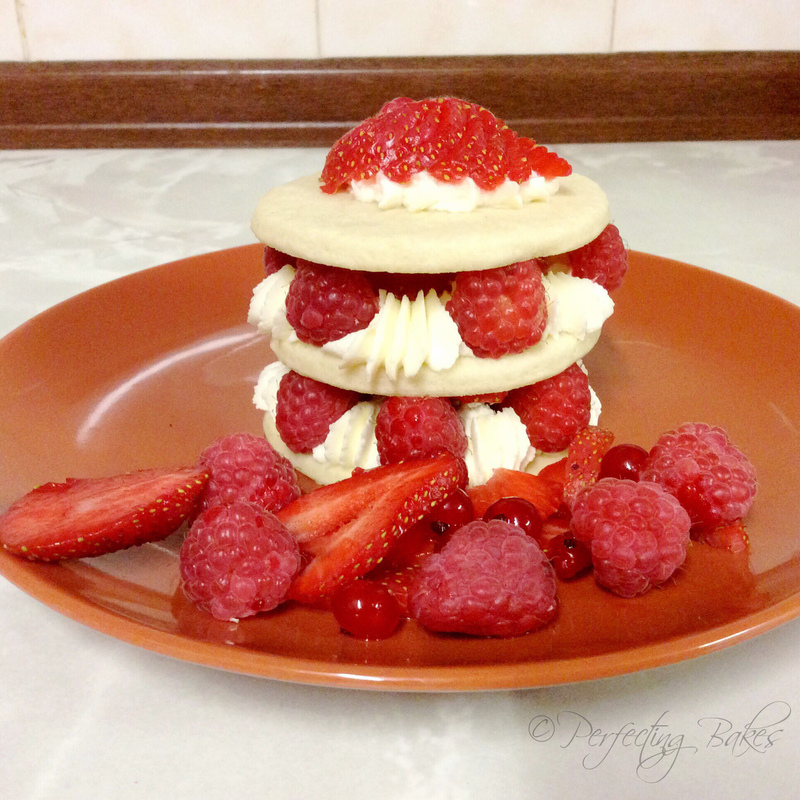 After the strawberries place another shortcake on top and repeat with the cream, raspberries and strawberry slice and top with the final biscuit. 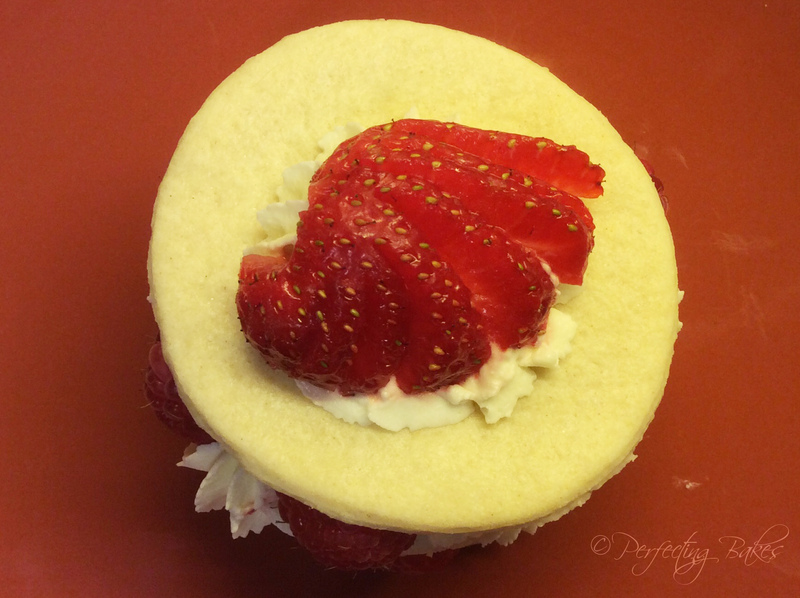 On the top layer add a swirl of cream and a strawberry… I decide to fan my strawberry, I cut a strawberry in half then making small slits into the strawberry going at an angle. 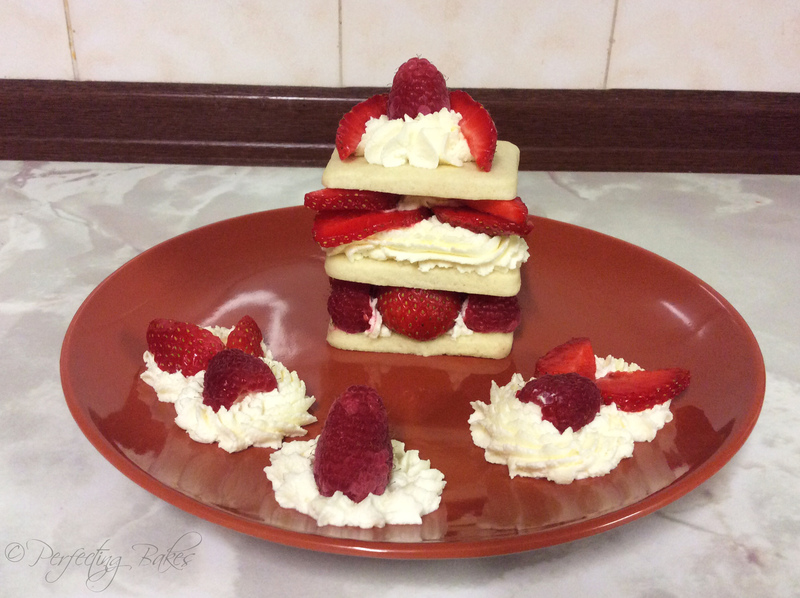 To make the strawberry fan for the garnish on top of the Shortcake Stacks. Firstly cut the strawberry in half. Place the strawberry half flat side down on a chopping board and make small slices at an angle a few millimetres away from the top, so that it is still intact. 3. 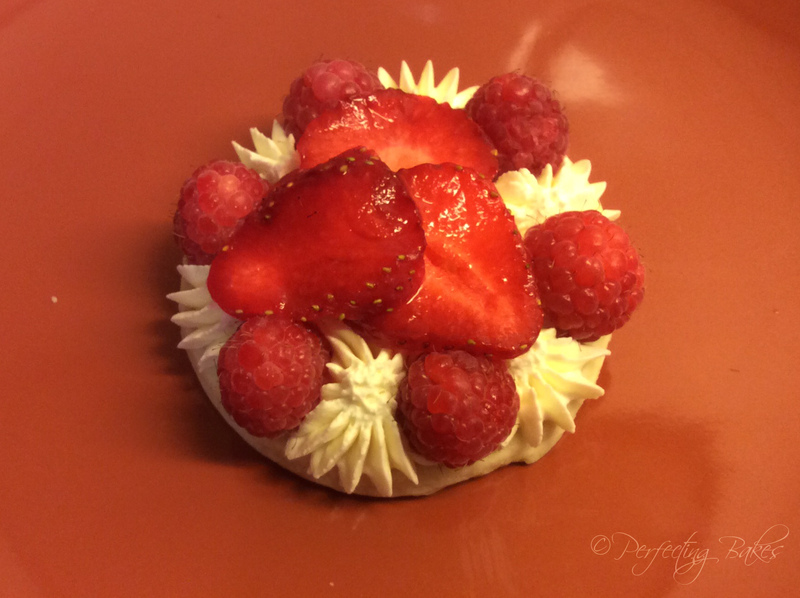 Serve with extra fruit and cream if desired. I served with more strawberries. raspberries and some redcurrants.